Fear of Death Penalty Made Mobster "A Rat"
A government witness said Thursday he sees himself as "a rat" for spilling mob secrets but added that he agreed to testify against his own brother to avoid getting capital punishment for murder. "Did you think that you might be exposed to the death penalty in Illinois?" federal prosecutor Mitchell A. Mars asked Nicholas Calabrese, the star witness at the trial of his brother Frank and four other men. "Yes," Calabrese said. He said a bloody glove he carelessly left in front of a North Side bingo parlor after the Sept. 14, 1986, murder of mobster John Fecarotta was used by the FBI to trace him to the crime. He was serving a loan-sharking sentence at the federal prison in downstate Pekin 14 years after the killing when he was called to the medical unit and a DNA swab was taken from his mouth. The sample matched the DNA found on the glove that he dropped as he fled the Fecarotta shooting, Calabrese told the federal court jury. The story capped a week of testimony in which Calabrese has described a parade of mob murders carried out by himself, his brother Frank and other members of the Chicago Outfit -- as the city's mob family is known. Frank Calabrese, 69, is on trial along with James Marcello, 65, Joseph (Joey the Clown) Lombardo, 78, Paul Schiro, 70, and 62-year-old Anthony Doyle, a former police officer. Frank Calabrese previously has been convicted of loan sharking, Lombardo of conspiring to bribe a U.S. senator, and Schiro of taking part in a gang of jewel thieves headed by the Chicago Police Department's former chief of detectives who is now in federal prison. They are charged with taking part in a racketeering conspiracy that included loan sharking, gambling, extortion and 18 long-unsolved organized crime murders including that of Fecarotta. The defendants deny that they were part of such a conspiracy. Frank Calabrese's attorney, Joseph Lopez, argues that Nick Calabrese is lying. Nick Calabrese testified that while he was in Pekin, he spent time with Marcello who arranged for his wife to receive $4,000 a month, partly to keep him from "flipping" and becoming a federal witness. "So I wouldn't turn out to be a rat like I am," Calabrese said. But eventually he made an agreement with prosecutors to testify in exchange for assurances that he wouldn't be subject to the death penalty in the Fecarotta case, he said. 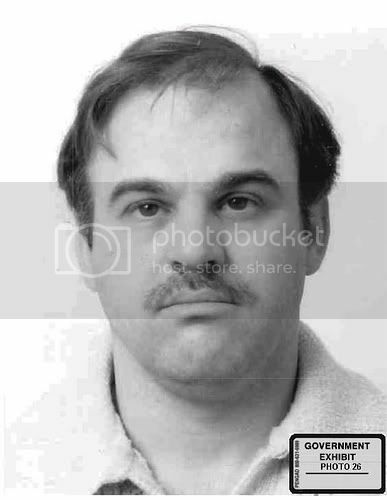 He said that he and his brother -- along with alleged mob capo Jimmy LaPietra and John (Johnny Apes) Monteleone -- decided to kill Fecarotta, a member of their own 26th Street of Chinatown street crew. The decision stemmed from a dispute arising from one of Frank Calabrese's loan-sharking customers. The man complained he was being forced to pay off the high-interest "juice loan" owed by a former business partner to Frank Calabrese while at the same time paying off the mortgage on Fecarotta's house. He complained to Frank Calabrese that the arrangement was unfair. The witness testified his brother told the man to keep paying the loan -- emphasizing the point by pulling a knife -- and then got permission to murder Fecarotta who already had been on thin ice with the Calabreses. Nicholas Calabrese testified that the mobsters told Fecarotta that on the night of the murder they were going to plant a bomb outside a dentist's office. The idea was for Nicholas Calabrese to reach into a bag containing a fake bomb, pull out a gun and shoot Fecarotta.